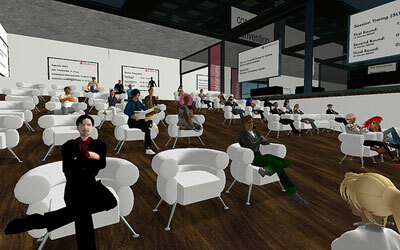 Second Life® is an internet-based 3D infrastructure, a construction kit to create content for a virtual world. In this world human beings interact, carry on a trade and communicate in numerous ways. Virtual 3D worlds are an important part of the internet of the future. For human beings as three dimensional beeings can experience contents much more real and impressive, and can make use of them in an interactive way. 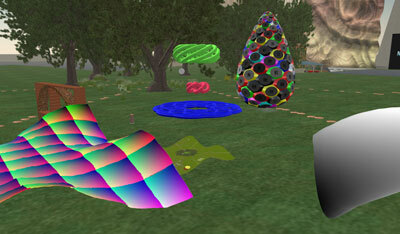 The absolut validity of Second Life® for the future relies on the fact that it is enormously in advance of similar worlds regarding time and content as well as on the high degree of "user involvement". The permanent 3D surrounding is completely user-created. Over 400 educational institutions such as Harvard University, Stanford University, New York University or universities from Stuttgart, Darmstadt, Köln and Hamburg sucessfully run virtual branches. Within university competition for the best students it is important to make use of the opportunities for innovation the internet holds and to bring forward digital teaching. In times of tuition fees, new bachelor and master programs, increasing competition and globalisation as well as great expectations for research and teaching it is more important than ever, to recognize future trends and to make use of them consequently. By now, only a few German universities realized the potential the internet holds with regard to this development. Only 5% of the courses in Germany take place online, according to assumptions of the Gesellschaft für Medien. Although teachings supported by the internet already proved to be effective - in didactic and economic ways. Internet itself has becoma a powerful sourrounding for teachings. To see and profit from ts possibilities is one of the challenges the university world has to face today. In the USA e-learnin long since has reached significance. Two third of the larger universities there have run online programs. And every since 2003 the number of online students is growing by 20 % every year. While the University of Illinois invested around 20 million dollars in its online-based global campus and the University of Utah had its whole campus reconstructed in Second Life®, most of the German Universities still rely on the 2D internet. But how will tutors and faculties hold their grounds now the »Generation Web 2.0« starts enrolling? The ones also capable of using 3D internet will have clear advantages and do best. The ones will be found and chosen that realized the signs of the times. Second Life® and Linden Lab® are trademarks or registered trademarks of Linden Research Inc. All rights reserved. No infringement is intended.